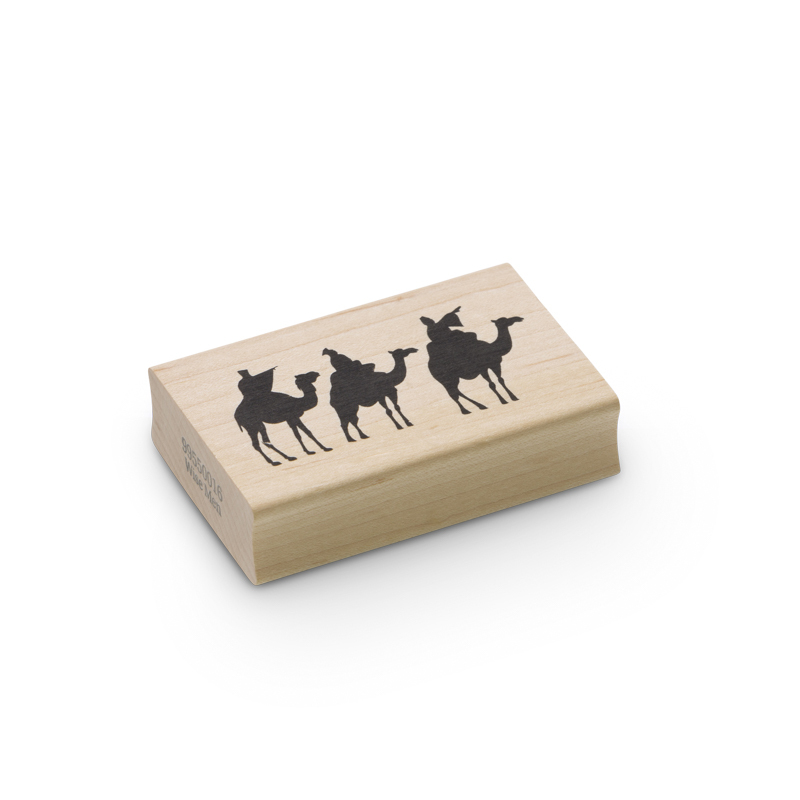 The wise men wood block rubber stamp set a Christmas message strongly into your stamping work with encaustic art. 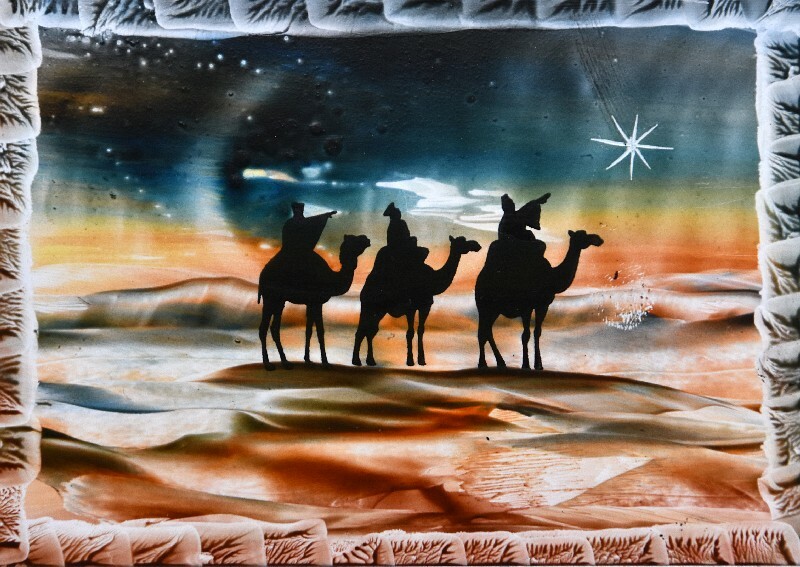 The camel riders are on their journey and the wax creation sets the environment, the place they are passing through. This is a favourite silhouette image.